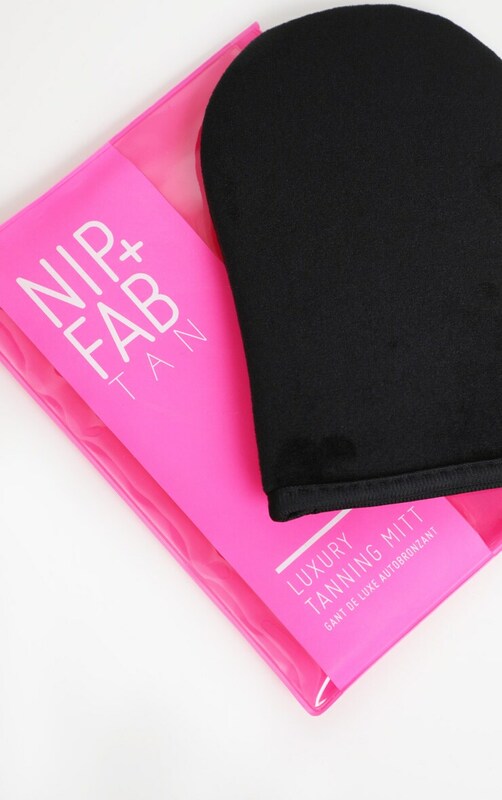 Use the Nip + Fab luxury tanning mitt for the most seamless smooth tan. 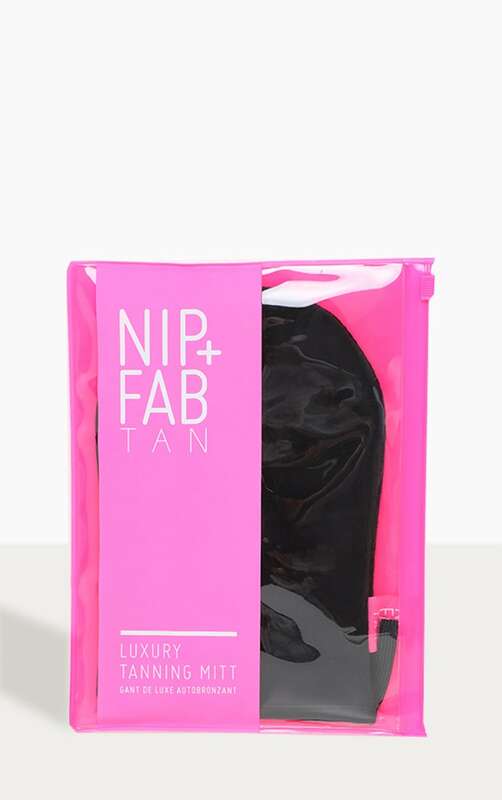 Each mitt is made of a soft velvet material for a seamless, flawless quick and easy Nip + Fab tan application. Each Mitt is machine washable and reusable and packaged in a zip lock bag, perfect for holiday travel. 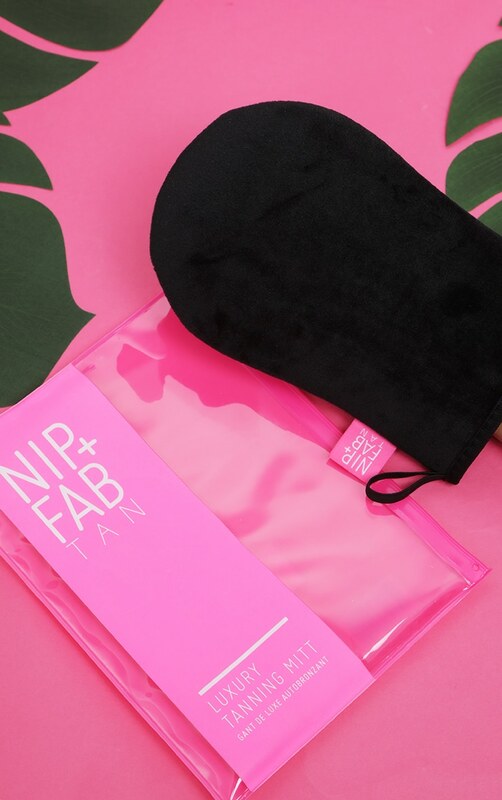 Apply NIP+FAB tan of choice in circular motions.